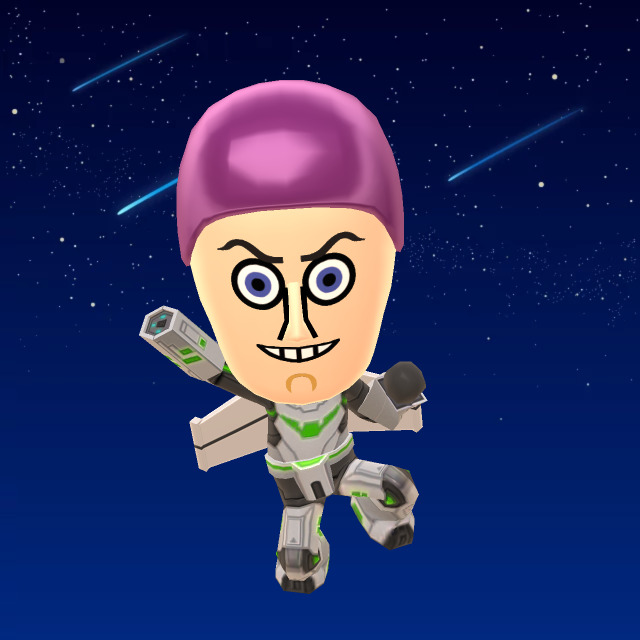 My Nintendo has had another round of updates, with some variations depending on your territory. We're not convinced the offerings will blow anyone's pants off, but they're available nevertheless. In Europe, first of all, there are two new discounts and a rather tempting Isabelle 3DS HOME Theme; details are below. So there you have it, another round of My Nintendo goodies. Let us know in the comments if any of these options are tempting. Finally! Something to spend my p--oh. No. Still nothing. I've had 4000 points expire now simply because there's nothing to spend them on. 50 Gold Coins for 10% off? Jog on, Nintendo. These launch discounts are just sad. Give me a 25% or even a 20% discount and I'd actually be tempted to buy the game at launch. Now I'll just wait for a real discount. They're free, so there is no need to complain. I'm content. Say it out loud ... 50 Gold Coins ....FIFTY..... accumulated by spending real money on Nintendo products... turns into a REWARD in form of a 10% voucher off the RETAIL PRICE ... unreal, Nintendo. I think sometimes its better just NOT to even offer this kind of stuff or even write about it. Not sure bad publicity is still good publicity in this case. Why you dont simply just start a Nintendo-Fan-Crowd-Funding project .. .instead of offering something, just offer nothing and say you want money. I think might work better than these "rewards". Even when its available until 7th december 2029 ... it wont make any difference. Is there actually someone who got paid for compiling this "update" at Nintendo or is this some sort of random generator? @ironside1911 @EllenJMiller um that's actually a pretty good deal. You get 50 gold coins by spending 35-40 EUR. Compare the 4 EUR discount you get for any of those two games to the 8 % discount you would've gotten from the digital deluxe programme on Wii U back in the day for spending 35-40 EUR = 2.80 - 3.20 EUR you'll notice that it's pretty good. never been able to into mynintendo, they won't accep my email, anyone know a contact for support? @HalfAWorldAway do you have multiple NNIDs with the same email address? I had that problem. To register for My Nintendo you can only use one email address with one NNID. You need to change the email addresses for all other NNIDs. Need more Isabelle in my life, so I got the 3DS Theme. @manu0 um thats actually ridiculous and you know why, because thats why I wrote its off the retail price. I believe you are familar with videogames longer than for 2 weeks and Im sure you bought games in the past, so you also know that there is NO WAY someone would have to pay the retail price as thats not how compeition works these days and its not Nintendo whos running shops worldwide. Just by googling you will find e.g. 7th Dragon 3 already for 35 euro brand-new retail copy with the value of selling it off someday. These "rewards" are a scam from the start. Even after you spend that money, collected your points, spend your time to "get rewarded" , you still pay more than by just buying it straight somewhere else - same product - and thats why no, I didnt notice its good - its horrible and continues to become even worse when you think its not possible anymore. @ironside1911 I was comparing it to the DDP which also only applies to digital games. And compared to that 4 EUR discount for 50 gold coins is a good deal. If you want your games digitally you'll often have to pay a premium, deal with it. MyNintendo isn't gonna last long if they don't sort out the value n selection you can use the coins on. I still think the coins should be yours too spend one whatever in the Eshop would have been a better system. I'll continue getting the 3DS themes just because they're basically free. I'll grab the Isabelle theme since I have a lot of points that's going to expire. @manu0 Because, naturally, one-way digital downloads have to be more expensive.. because.. thats the way it is? Actually no - you have plently of digital online retailers, mmoga to whatnot with very strong discounts on digital downloads (i mean digital downloads in general on all platforms - current example Fifa17). So, I wont deal with Nintendos joke rewards - Im sure sooner or later some magazine will pick up their weird business tactics as of late. The only gold point deal that has been of use to me was the launch discount for Chase: Cold Case Investigations. I put those mynintendo themes on my old 2ds which I use for the old ds games. Mynintendo is sooooo great. A real treat. Seriously, its getting oncreasingly harder to remain a nintendo fan. I mean most of their games are great but nintendo as a company leaves much to be desired. Stingy to say the least. Yeah, I have got 100 gold points and nothing to spend them on. Maybe this a secret tactic to make people buy a game they already own physical again as a download. Nintendo might think people wouldnt want to waste those coins, thats maybe why they had this ridiculous six months expiry date in the beginning. This notice popped up on my gamepad in the early hours of this morning. 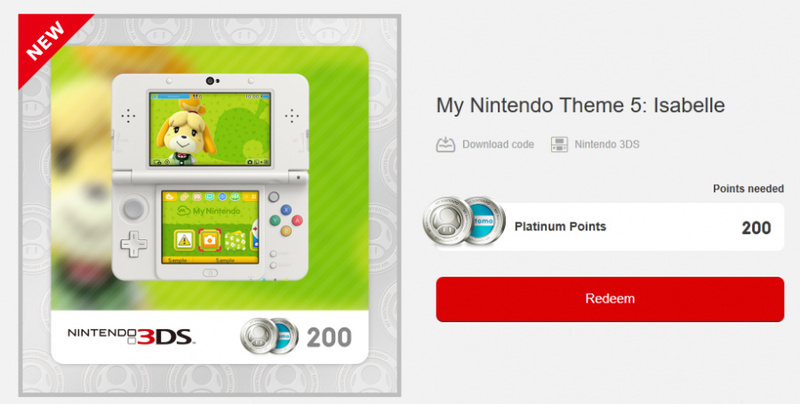 The deals aren't live yet so we don't know how many platinum points are required for the My Nintendo discounts. But it gives us an idea of the games discounted, I hope that's not all of them. The deals go live on the 25th and end on the 28th so I'm hoping there'll be a second wave of deals but I doubt it. I can buy these games cheaper in a shop even with the discounts. At least, we have a new theme to expend expiring coins. For some reason, the my Nintendo site won't let me log in on my phone. Just goes to a page that says access denied before I even get the chance to give it my log in info. Works fine on my iPad though. Except the DDP allowed discount off anything. My Nintendo is absolutely hopeless in comparison. My Nintendo is a waste of time tbh. I've said it before and I'll say it again, ahem, WE ALL MISS CLUB NINTENDO! Hmm they sent discounts to my Wii U. 40% off of Wolly World, and Tokyo Mirage sessions, some other games, but they were so puny I didn't notice it. @SLIGEACH_EIRE awful. Just awful. Will be good for new 2016 Wii u owners if there are any. Just so happy I can spend my coins on a wall paper I can find in Google. I'm so happy. Really really happy. Really really really happy. and I'm really, really, really, really happy. I only get the themes and full software... So I'm kind of satisfied, but considering that I've been saving now for over two months waiting for something, that says alot. So no more free games then? @manu0 yes mate, how do i change the email? @HalfAWorldAway you need to do it on the 3DS or Wii U where you have the NNID registered.